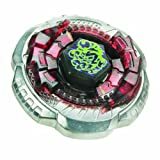 Hasbro Bey Blade Bey Beylocker. 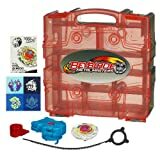 Beyblades JAPANESE Metal Fusion Battle Top Starter #BB104 Basalt Horogium 145WD Includes Light Launcher! 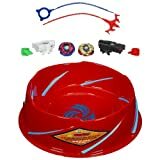 This Japanese Beyblade Starter comes with one complete Beyblade and includes a launcher and ripcord! 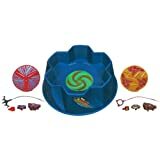 Beyblades JAPANESE Metal Fusion Battle Top Starter #BB80 Gravity Perseus AD145WD Includes String Launcher! 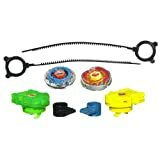 This Japanese Beyblade Booster comes with one complete Beyblade.